I love Douglas County and have been blessed to live here for more than 25 years. My family has thrived here, surrounded by warm, caring friends, unsurpassed natural beauty, numerous recreational opportunities and an array of employment options. Because of my personal interest in strong, independent, self-reliant communities, I have watched with growing excitement as renewable energy generation, particularly locally installed, cost-effective solar energy systems emerge as a viable option for many home and business owners in Douglas County. In 2013, my husband and I decided to take the plunge and construct a solar array on our home. We suspected that our site was conducive to collecting solar energy as the roof was totally free of obstructing trees or other barriers. We retained a local contractor with experience and expertise in solar system installations. He completed an analysis of our site and gave us several options to consider. Ultimately, we chose a system that was projected to supply up to 70 percent of our annual electric power. We were able to take advantage of energy tax credits and incentives to significantly reduce our out-of-pocket costs. To our great delight, it looked like our system would totally pay for itself in seven years. Wow, we were thrilled!!! In 2015, we saved $855.00 in power bill charges over the year. Truth be told, I now wish we had constructed a larger system. I believe we could easily generate all of our own electricity through an expanded solar array on our home. At any rate, we are on target with the projections made and should have essentially “free solar electric power” by the end of 2020. Up until recently, many home or business owners could not take advantage of solar power, either because of locations not conducive to solar generation or prohibitive installation costs. Those barriers are being addressed in Oregon through the establishment of a community solar program. A community solar project consists of an energy system that provides owners and subscribers the chance to share the costs and benefits associated with energy generated by the project. Both residential and business owners who, for whatever reason, are not able to install a system on their own property can subscribe to an interest in a community solar project. In turn, any eligible consumer can own or subscribe to any amount of electricity generated by the community solar project as long as the amount does not exceed the owner’s average annual electricity usage. The future for solar energy in Douglas County is very bright (no pun intended)! If communities throughout our region would really get behind renewable energy and energy conservation, we could all save money, reduce our dependency on outside energy sources, and create local jobs. For more information on community solar see www.oregoncleanpower.coop or The Northwest Community Solar Guide at www.nwseed.org. For more local information, visit www.dcsmartenergy.org or on Facebook at DCSmartEnergy. Douglas County Smart Energy is a project of the Douglas County Global Warming Coalition. For more information about the Coalition, call 541-672-9819. 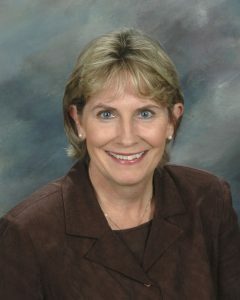 Joyce Akse is a member of Douglas County Smart Energy Project. She is a former Chief Operations Officer for Douglas Community Hospital, and recently retired Director of the Ford Institute for Community Building for the Ford Family Foundation.